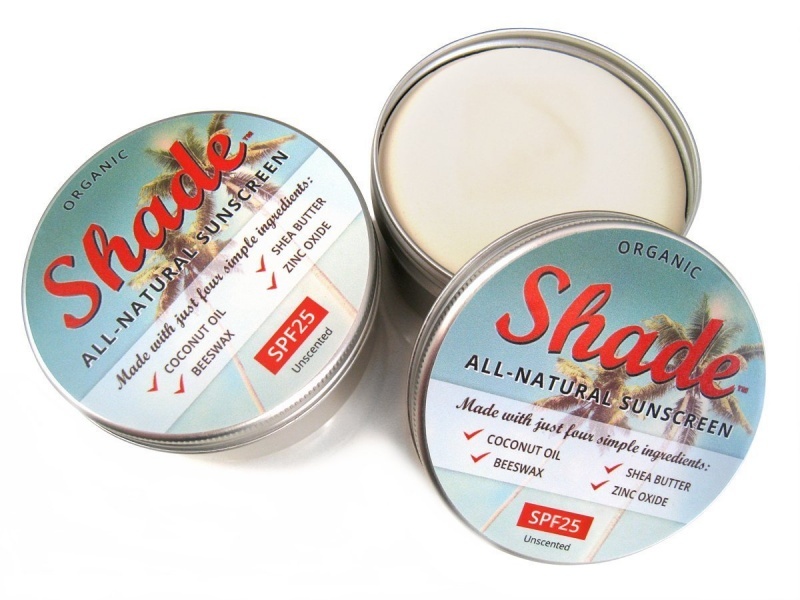 A natural sunscreen in a reusable and recyclable metal tin. Made in the UK. Non-Toxic, suitable for sensitive skin and all ages, babies and children. SPF25. 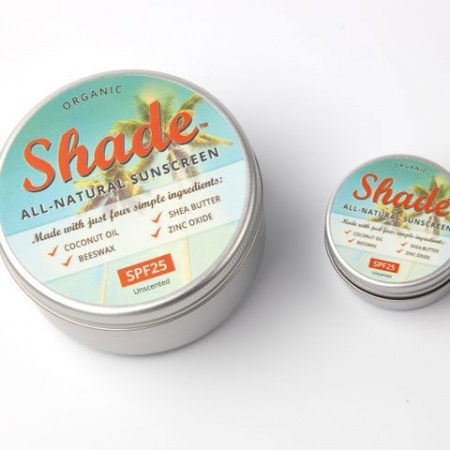 This award-winning natural sunscreen has only 4 ingredients, Organic Virgin Coconut oil, Organic Unrefined Shea Butter, Unrefined Beeswax and non-nano cosmetic grade zinc oxide. Tested to EU ISO Standards for broad spectrum effectiveness (UVA & UVB) and SPF Verification. There are no dangerous ingredients in this sunscreen, unlike many commercial sunscreens. This sunscreen is also free from Palm Oil. The Non-Nano Zinc Oxide used sits as a physical barrier to the sun, reflecting it from the surface of the skin. Zinc Oxide is a very effective broad spectrum sun protection. If it's cold and quite firm or shows signs of the zinc oxide molecules ‘clumping’ together (bobbly surface), rub it vigorously with warm fingertips to make it softer, then apply generously at least 15min before exposure to the sun, and then reapply regularly at least every 2 - 3 hours, after exposure to water or after sweating. 'Applying generously' means you need approximately a teaspoon for an adult face, and a shot glass full for an adult body. This product is not tested for water resistance. The sun's rays are most intense and dangerous between 11am-3pm. Take precaution and avoid the midday sun. Do not stay in the sun too long even when protected. Keep babies and young children out of direct sunlight, and where possible seek to wear long-sleeved clothing and hats when in the sun for a prolonged period of time. SPF25 means you are protected from 96% of rays, but that also means a damaging 4% are still reaching your skin. If you start to feel burning, cover up or move out of the sun. Unlike many chemical sunscreens, Shade does not contain burn inhibitors which switch off the burning sensation. If you feel you are beginning burn, it's your body's warning to you that you have been exposed for too long, and the sensible approach is to cover up by wearing clothing or move out of the sun altogether. Sunscreen should be used as an additional protection against the sun's rays, not relied upon as the only protection. Topping up your SPF25 sunscreen will only ensure you are still protected for approximately 25 times the length of time it would normally take you to burn in the same conditions without any protection, it will NOT prolong the amount of time you can spend in the sun. An inadequate application will also reduce the SPF dramatically. Apply generously for best results. Unscented. Made in the UK. Not tested on animals.